So you’re thinking of having a mobile app developed for your business? The first thing you need to do is to appoint a reputable Ios Developer in Cape Town. Once your fancy new app is created, it’s vital that you add push technology. Push technology is a method of communication via a mobile app that allows for real-time notifications. Apple released this functionality in 2009 while android joined in in 2010. Push technology enables businesses to send app recipients direct notifications even when the app is not in use. Since users can select whether they want to receive push notifications, it’s vital to keep the messages relevant. Below are the benefits of using push technology. 1. Push notifications can easily re-engage users. If a user hasn’t used your app for a while, relevant notifications that are fresh and entertaining has the power to remind your user why they downloaded your app in the first place. 2. Since push technology delivers an instant notification to your user’s personal smart device, it is easier to track than SMS marketing. Click-through rates and open rates can be traced and examined for future campaigns. 3. Push messages that are simple and straightforward make them easier for the user to manage. Not only are they easier to set up for app developers but more affordable than SMS marketing. 4. Push Notifications are proven to be more effective than SMS and email marketing. Many users ignore promotional emails or they get blocked by corporate servers. While SMS marketing is effective, many people are cautious when asked to give out their mobile number. Push notifications don’t need the user’s mobile number to be sent out. 5. Users have more control over the types of messages they receive to ensure only highly relevant message reach them. Netgen has been involved in the development of many mobile apps that use push notifications to communicate with customers. 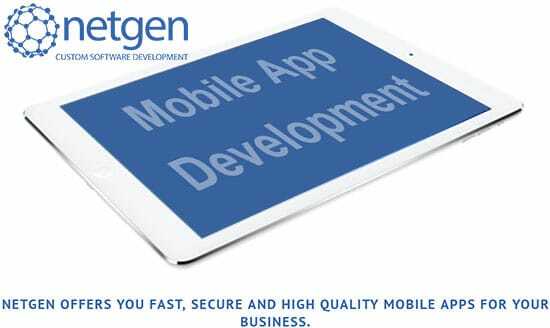 Get in touch with Netgen for more information on developing a mobile application for your business.